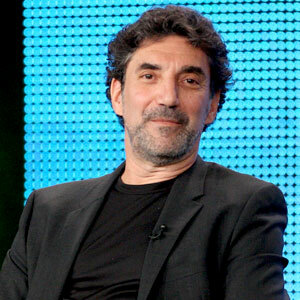 Chuck Lorre, creator of The Big Bang Theory, Two and a Half Men and Charlie Sheen's worst enemy, will be presented with the Sir Peter Ustinov Comedy Award at the Banff World Media Festival in June. Yes. I 100% agree with the recipient this year. Chuck is pretty much the sitcom King of TV right now. Now if they only could produce a 'You went crazy and are still alive' award that they could give to Charlie. I want to see the two of them in a room and watch the fireworks go off. Also attending this year's festival Mike Fleiss, executive producer of the Bachelor (oh, there are a few thousand questions I would like to ask him); Larry King (and hopefully his suspenders); Terrence Winter, executive producer of Boardwalk Empire and Casey Bloys, senior vice president of HBO Entertainment. With the festival being quite a ways away there are sure to be more big names announced as we get into Spring. If you want to go to the Banff World Media Festival...well, you need to have a pretty high disposable income as passes are $1750. Yikes.